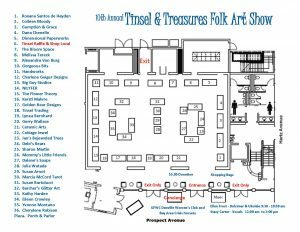 The 10th Annual Tinsel and Treasures juried folk art show returns to Danville with artists and a few new twists! 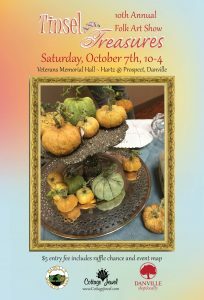 The event showcases over 30 renowned mixed media artisans and creative spirits offering original handmade works, book signings, craft demos, live entertainment and raffle prizes! 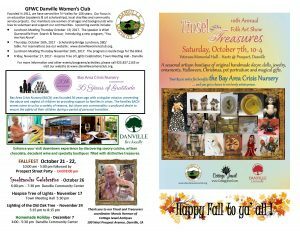 $5 entry fee includes raffle chance and event map. Sign up to receive information on our events!